Tina's full name is Rocket Tina. 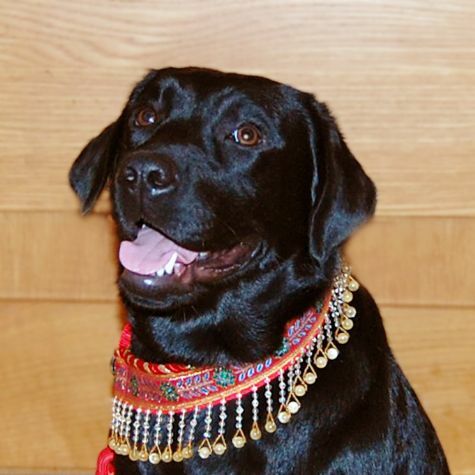 She is a small and fast Black English Labrador Retriever. Tina was the smallest of all her siblings but held her own with her sweetness. We fell in love with her right away. Her well-rounded, perfect personality and great temperament got her a Therapy Dog Certification. She just adores her visits with people and the more the merrier to share all her loving. It's not work for Tina to do her LO4P visits. It's fun, and she loves it.